£1295 pp, £120 single supplement. 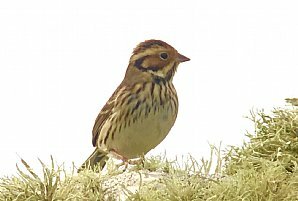 West Cornwall is a birders' playground, with a strong reputation as one of the best British birding counties in autumn. 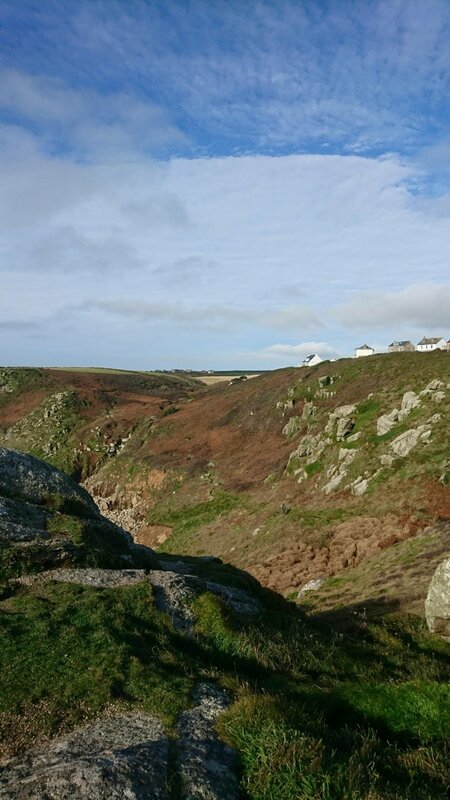 The Penwith peninsula at the ‘end of the land’ is ideally placed as a filter for southbound migrants and rarities, and with beautiful valley habitats and rugged coastline, it’s one of the great places for birdwatchers to explore. October is one of the best times to visit and extensive knowledge of all the birding hot-spots, plus some hidden gems will give us a great chance to enjoy migration over both land and sea. 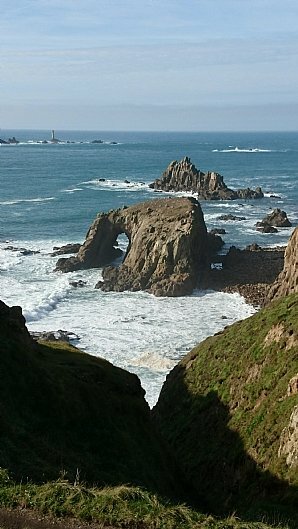 We’ll also visit the Lizard Peninsula where Choughs famously first made their return to the county. Our daily schedule will be flexible, planning days around local, up to date bird news and of course the weather. Based in the far west we shouldn’t need to travel much either, with great sites such as Porthgwarra, Cot Valley, Nanquidno, Hayle, Marazion and Drift nearby there’s great birding on our doorstep, and we plan to visit the Lizard too. 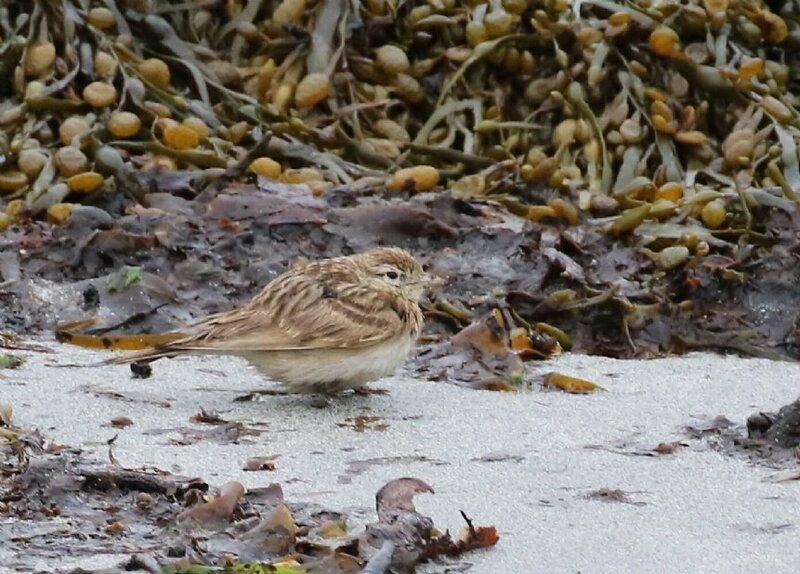 Species possibility is broad and just as our holidays to Scottish islands and outposts anything is possible depending upon luck and the prevailing weather. 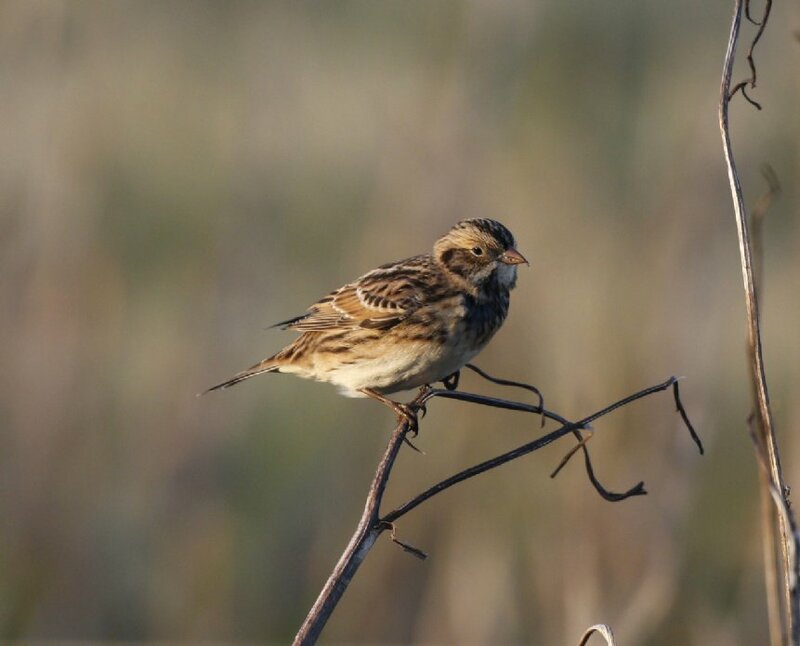 Birds vary every year, but African bound passerines including a variety of warblers, Redstart, Wheatear, Pied and Spotted Flycatcher should be encountered, along with Firecrest, Black Redstart and migrant finch, lark and pipit flocks. 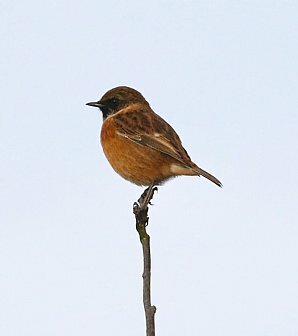 We might find our own Wryneck, Red-backed Shrike, Red-breasted Flycatcher or perhaps something even rarer from the east. Winds from the west might yield an American wader or something really 'mega', examples being Red-eyed Vireo, Hermit Thrush, Yellow-billed Cuckoo or even Britain’s first Alder Flycatcher. Sea-watching can be excellent, and our boat trip into Mount's Bay will give great views and possibly cetaceans too. Exciting birding, relatively warmer weather and great coastal scenery in a massively under-watched part of the UK! The trip is led by experienced Heatherlea Guide Mark Warren, who has lived and birded in Cornwall for 15 years. We have timed this holiday so it may be combined with our Isles of Scilly for birders trip for the ultimate south-west birding experience! The start point for this holiday is Penzance. Please contact our office for travel tips by road, rail and air. Once gathered and settled into our comfortable accommodation, we head straight out birding to make the most of the day. We’ll start close to base, visiting local sites, target a rarity or have an early visit to the excellent Marazion Marsh RSPB reserve near Penzance. This wetland site is super for wildfowl and waders, and Little Egret and Kingfisher are likely to get us off to a good start. Cetti’s Warbler are resident in the reed-beds and a walk through the reserve and into other scrubby areas should add other migrant warblers plus Reed Bunting. 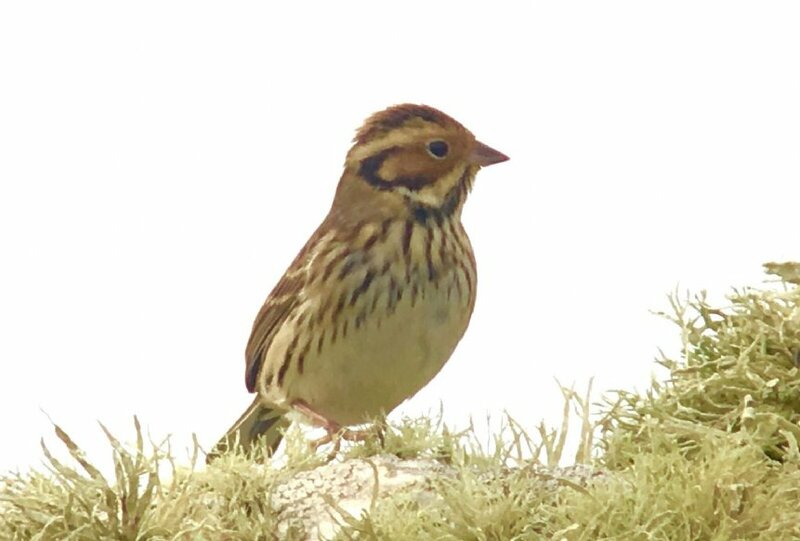 The site is of international importance, managed for migrant Aquatic Warbler and Spotted Crake. If either have been reported we’ll try and stake them out. 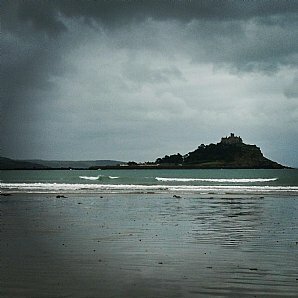 We also plan to visit adjacent Mount’s Bay with majestic St Michael’s Mount as a backdrop. 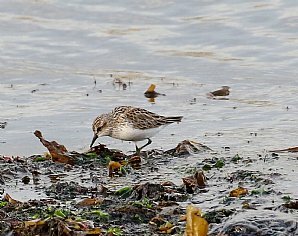 The beach can be especially productive, flocks of Ringed Plover, Dunlin, Turnstone and Sanderling often harbouring Little Stint and Curlew Sandpiper. 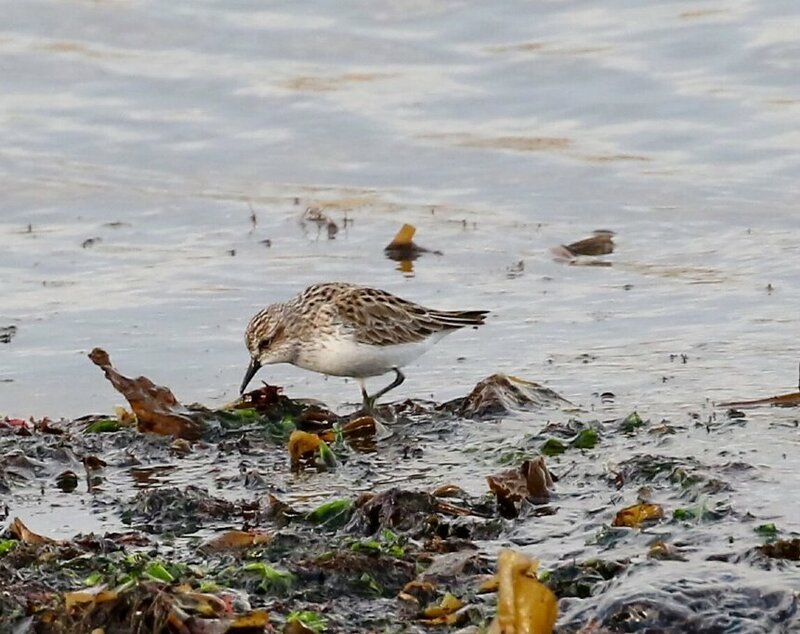 Rarer American waders are recorded annually, so there’s a real chance of something special, such as Baird’s, White-rumped or Semi-palmated Sandpiper. Migrant Wheatear, Rock Pipit, White and Yellow Wagtail feed in the tide wrack, with hirundines likely to be seen over both the marsh and seaweed areas. 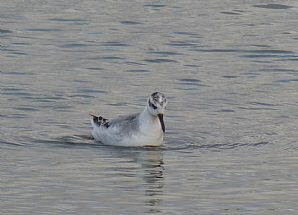 Storm-driven Grey Phalarope often shelter in the bay, and at low tide gulls including Mediterranean gather while wintering species such as Brent Geese, seaduck, grebes and divers will just be returning the area. A great place to start! We head to the valleys starting at Porthgwarra, the most south-westerly point in mainland Britain, and a famed birdwatching site with an excellent track record for rarities. We will search the area extensively for migrants, checking patches of trees and bushes in the “60ft cover”, around the “Doctors Garden” and up on the moorland. Passerines such as Skylark, Meadow Pipit, wagtails and finches should be numerous with African bound migrants including Whinchats, Redstarts, Pied or Spotted Flycatchers, and a range of warblers likely. Firecrest are regular and scarce species recorded annually include Wryneck, Melodious, Barred and Yellow-browed Warbler, Red-breasted Flycatcher, Common Rosefinch and Serin. A mouth-watering array of Nearctic rarities have occurred in this famous valley in recent years including Red-Eyed Vireo, Yellow-billed Cuckoo and Hermit Thrush, while Black-throated Thrush, Radde’s and Dusky Warbler are just a few examples of eastern origin. Will we get lucky? The possibilities are endless! Sea-watching can be exceptional too and if conditions are favourable we’ll spend time watching birds passing the legendary Runnelstone Buoy. 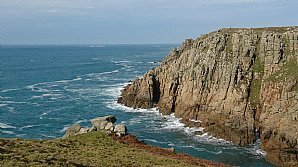 In the afternoon we’ll plan to head over to nearby St Levan or Porthcurno valleys, or to work the fields around Polgigga or Treen. 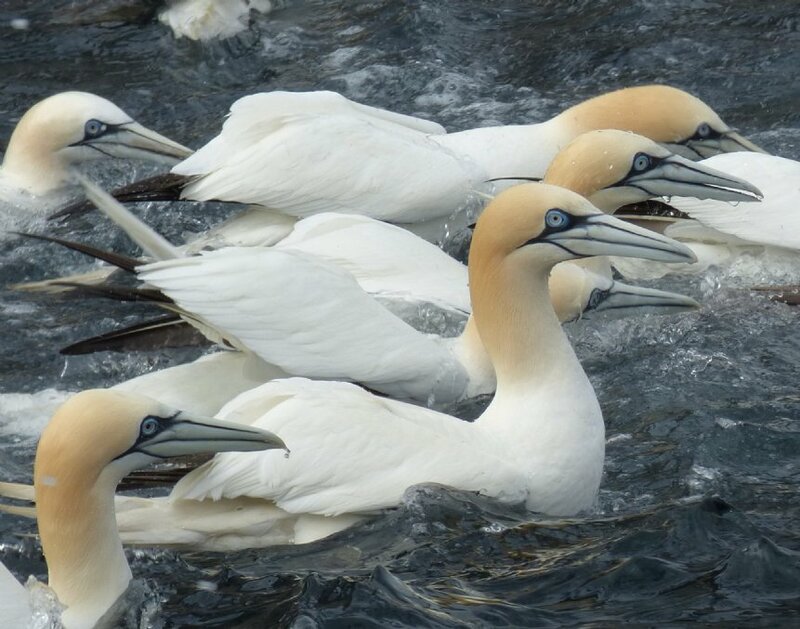 Land’s End is not just a tourist attraction, it’s one of the best birding locations in the country! 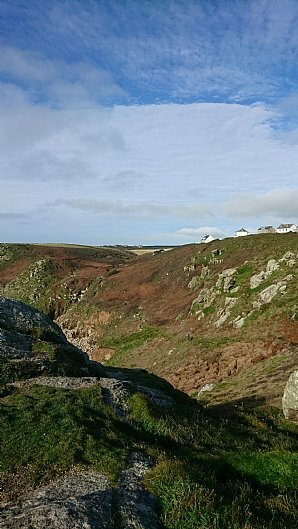 Coastal bushes and scrubby cover is sparser here than in the valleys, and it’s one of the best places in Britain to watch visible migration as birds pour out to sea, not making landfall again until France or even Spain. 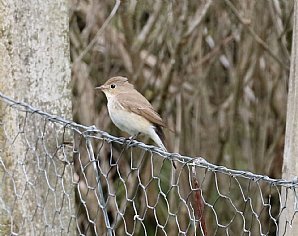 A day to really find our own birds, we explore the habitat thoroughly searching for freshly arrived migrants in the willow bushes, Cornish hedgerows and fields. The cycle path allows for easy walking and is the best place for a Wryneck. 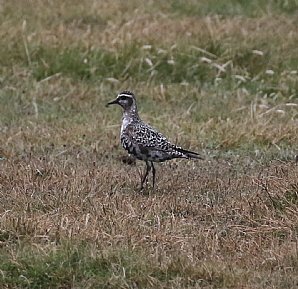 It also offers a good vantage into the fields for pipits, Yellow and White Wagtail, while the short cropped turf of the coast path is attractive to Wheatear, Black Redstart, Stonechat and Chough. Just inland lies the village of Sennen and more great birding habitat. 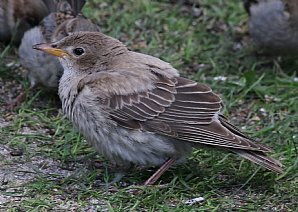 Rare pipits are something of a speciality of the whole area; Richard’s is regular, while Blyth’s, Tawny, Buff-bellied, Red-throated, Olive-backed and Water Pipit have all been recorded in recent years. Large flocks of Skylark can sometimes hold Woodlark, Short-toed or even Shore Lark and Snow, Lapland and Little Bunting area also regular. 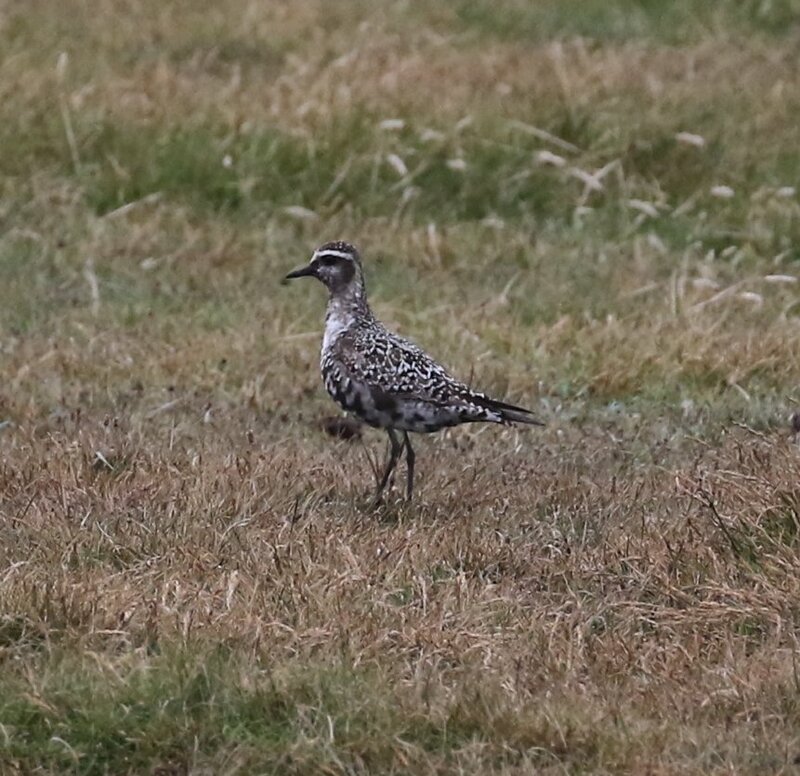 The Golden Plover flock often contains other waders such as American Golden Plover, Buff-breasted Sandpiper or Dotterel. 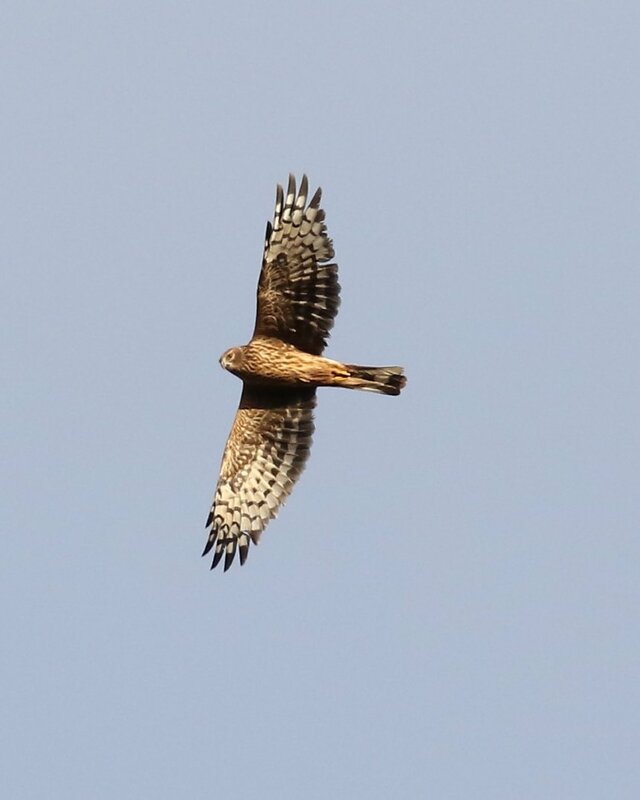 The lack of cover may not always suit rare warblers but regular coverage has unearthed Paddyfield, Syke’s, Western Bonelli’s, Sardinian, Subalpine, Melodious, Radde’s and Dusky Warblers in the past, so high quality birding is very possible. A magnet for shrikes too, Red-backed and Woodchat are the most regular hereabouts, and Britain’s seventh Turkestan Shrike and tenth Brown Shrike occurred here; both found by Heatherlea Guide Mark Warren! 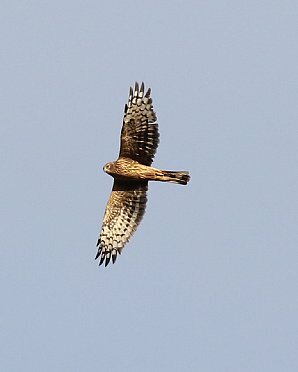 In the evening we’ll perhaps consider visiting Bartinney Downs or Men en Tol for the Hen Harrier roost. 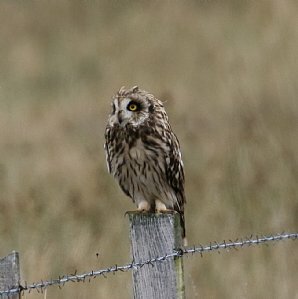 We might see Barn and Short-eared Owls too while Merlin take advantage of an abundance of prey at this time of year. This morning, subject to weather conditions, we head to Penzance to take a wildlife boat trip, which will of course be available subject to weather conditions. As we board we look out for Purple Sandpiper among the Turnstones at the harbour before heading out into Mount's Bay. 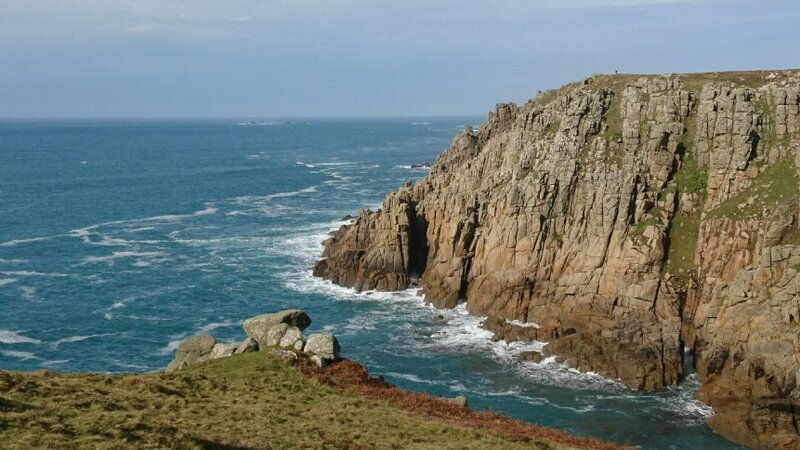 We travel west, gaining a different perspective of the stunning Penwith coastline and iconic open-air Minack Theatre, and once clear of Land’s End will continue towards Wolf Rock Lighthouse. We stand a chance of a range of seabirds and views can be excellent. Gannet, Fulmar, Guillemot and Razorbill should be plentiful and Balearic Shearwater and a few Puffin are usually around at this time of year. 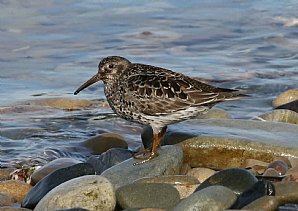 Also possible are Manx, Sooty, Great and Cory’s Shearwater, European and Leach’s Storm Petrel, skuas, Grey Phalarope and Sabine’s Gull. Cetaceans including Harbour Porpoise, Common and Bottlenose Dolphin are seen regularly with the chance of other species or a late Basking Shark, the peculiar Sunfish of even Atlantic Blue Fin Tuna – a great morning on the sea! Back on dry land we move over to the Hayle Estuary RSPB for the afternoon. The most important site for wildfowl and waders in the area, many thousands of birds feed on the tidal mud. 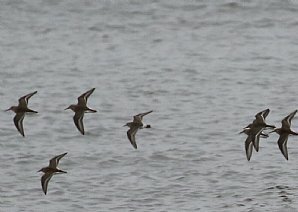 Wigeon and Teal will be the most numerous of the ducks with Curlew, Bar-tailed Godwit, Dunlin, Knot and Redshank the commoner waders. Rarer species as always are possible but if not, Little Egrets will entertain while the low tide gull roost can serve up thousands of birds and a good scan might yield a Yellow-legged Gull or any late tern. There’s lots of vantage points and sites to birdwatch from but if we still have time to spare we’ll visit nearby Gwithian or the pools at St Gothian Sands to finish the day. The sheltered valleys situated right next to this former mining town will give us another chance to seek out resting passerines. Nanquidno, Cot, Kenidjack and to a lesser extent Kelynack are all well known by birding reputation, and we enjoy our time birding and walking in these beautiful areas. 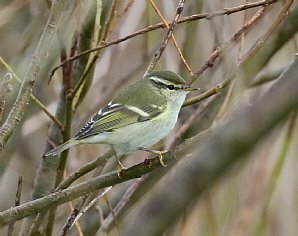 Firecrest and Yellow-browed Warbler will be top targets again among commoner warblers and land birds. The calls of overflying Chough and Raven will draw our gaze skywards and away from the bushes from time to time. With luck and the right conditions we could find a scarcity or two, with those listed above equally possible at these sites too. A repeat of Britain’s first and only Yellow-throated Vireo, or an American Redstart, Northern Parula or Blackpoll Warbler – all have been recorded around these valleys in the past! A day trip to the most southerly point in Britain and the area where Choughs first returned in 2001 to re-claim their traditional territory, as featured on the Cornish coat of arms. 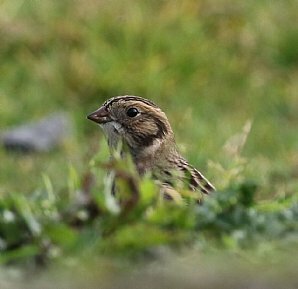 We should see this smart member of the crow family today and visiting the sheltered valleys and bays at Kynance, Caerthillian or Church Cove could give us migrants. Open ground and coastal scrub at Bass Point can be one of the better sites for Dartford Warbler, and sea-watching has yielded some great sightings over the years in favourable conditions. Windmill Farm LNR and farmland around the village itself also offers great birding and there’s lots of potential in a relatively small area. Sympathetic farming practices ensure good numbers of finches are present and any Linnet or Goldfinch flock will be worth checking. Golden Plover, Lapwing and Curlew also feed in the fields, and raptors will be on the lookout for an easy meal. We could also visit Stithian’s Reservoir on this day if something good has been reported, or take the chance to try under-watched sites such as Prussia Cove or the Tresillian River on our way home. Cornwall really does offer a bounty of birding sites and range of possibilities. If we haven’t yet visited Drift Reservoir we may do so today, this new freshwater habitat potentially adding a number of new species. 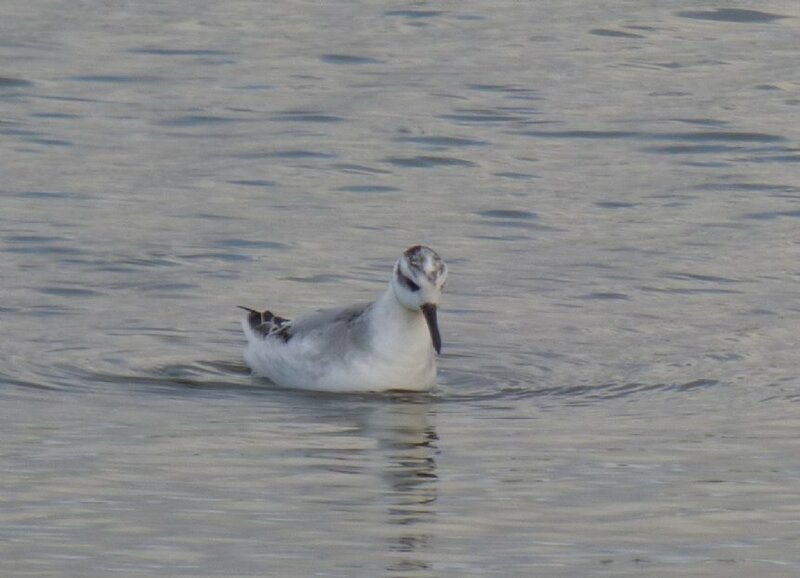 Great Crested and Little Grebe are likely as are diving ducks such as Tufted Duck and Pochard. Muddy inlets give us the best chance of freshwater waders such as Greenshank and Common and Green Sandpipers or maybe a late Osprey. A walk to the hide might add a Kingfisher, and Dipper sometimes show from the dam. American waders such as Pectoral Sandpiper and Lesser Yellowlegs have been recorded numerous times as has Ring necked Duck and Lesser Scaup. If the wind is strong and from the north or west then sea-watching from Pendeen is definitely worthwhile. From a sheltered position by the lighthouse wall, Gannet, Kittiwake, shearwaters, and skuas can pass just under the cliffs, and it’s the best place in the county to observe Leach’s Petrel, Sabines Gull and Grey Phalarope in the right conditions. We may decide to explore neglected valleys on the north Penwith coastline or venture further into north or east Cornwall for any rarities on offer – will we find that big American rarity and put a new Cornish site on the map! Our final day and the chance to mop up on any species we might not have connected with. With migration in full swing a visit to any of the already visited headlands, valleys, reservoirs, beaches, estuaries, plantations or sea-watching sites could yield a completely new set of species. Exact plans for the day will be based around clients travel arrangements but we’ll be sure to get as much birding in as possible to conclude our time in Cornwall. • Seven nights comfortable en-suite hotel accommodation. Guests are never expected to share. All rooms are en-suite. Full details with your joining pack. • Full breakfast and dinner from Friday evening until Friday morning, packed lunch daily. • A wildlife boat trip. Mark Warren is a highly experienced Heatherlea Guide, who lived and worked in Cornwall for 15 years. He knows the county and it's birding opportunities extremely well! Expect a wide variation in weather conditions. 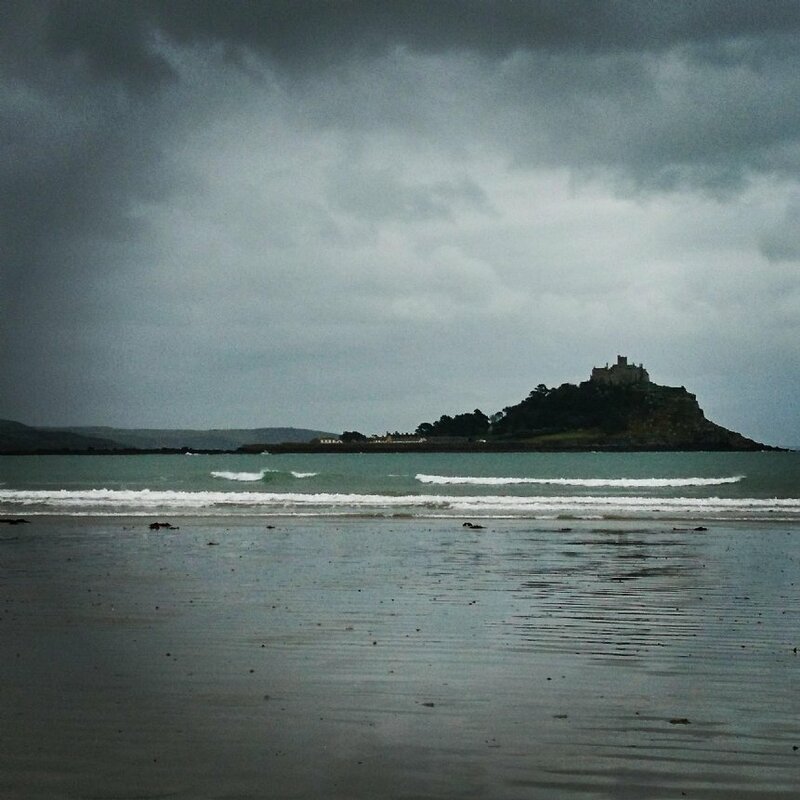 Cornwall can be wet and windy, however we may also experience some warm weather. Sunshine, rain and strong winds are all possible, and you will probably experience a bit of everything. Please bring walking boots or shoes, weatherproof clothing and a small rucksack. We are often on our feet for most of the day on this holiday. We take things at a slow pace, though will cover quite a few miles of walking over rough or uneven coastal paths and through fields or across sandy beaches each day. 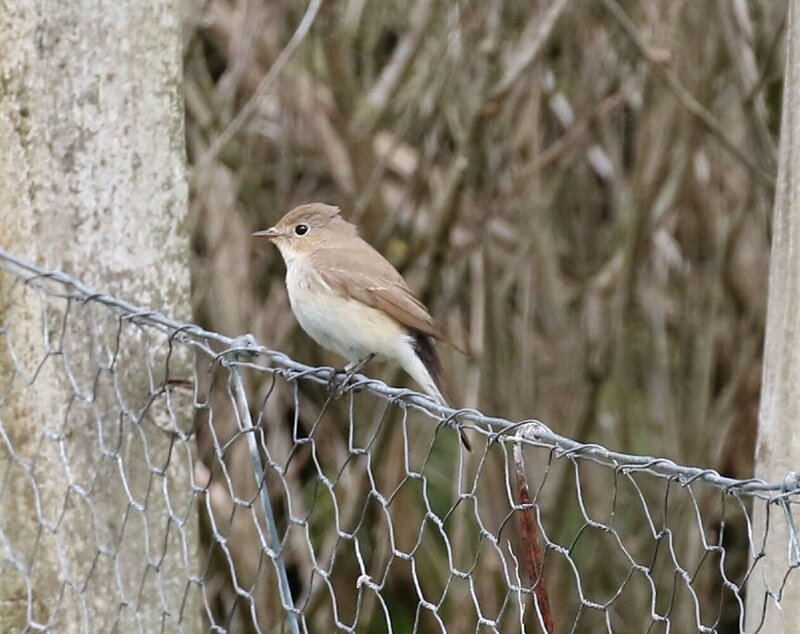 Our excursions are usually on good trails, though rare birds are often found in inconvenient locations, involving several gates and stiles to be climbed or long walks in exposed locations, often peering down gullies and into ditches. Please note that although there is a vehicle on this tour a reasonable level of fitness is essential. You may find a walking pole useful!